Music fans love Spotify; the catalog is huge, it’s free to use, and easily integrated with social media. It doesn’t take a profound leap in logic to understand why you should be promoting your music there. Currently the application is available for streaming in Andorra, Argentina, Australia, Austria, Belgium, Bolivia, Brazil, Bulgaria, Canada, Chile, Colombia, Costa, Cyprus, Czech Republic, Denmark, Dominican Republic, Ecuador, El Salvador, Estonia, Finland, France, Germany, Greece, Guatemala, Honduras, Hong Kong, Hungary, Iceland, Indonesia, Ireland, Israel, Italy, Japan, Latvia, Liechtenstein, Lithuania, Luxembourg, Malaysia, Malta, Mexico, Monaco, Netherlands, New Zealand, Nicaragua, Norway, Panama, Paraguay, Perú, Philippines, Poland, Portugal, Romania, Singapore, Slovakia, South Africa Spain, Sweden, Switzerland, Taiwan, Turkey, United Kingdom, United States, Uruguay, and Vietnam. The verified artist program is becoming a part of Spotify for Artists. All artists who have access to their Spotify for Artists profile will automatically get the verified check on their artist page. Get your Spotify Verification Badge for your producer, artist, or band profile by completing the Spotify Label Verification Form. Simply request access toSpotify for Artists page to be able to get tons of additional tools, learn about your audience and update profile pictures. After signing up, artists and management can get granular information on how listeners engage with your music. Whether it’s seeing how many times a track was added to a playlist, how many different streams you received on a particular track in a particular territory, or how many tuned in to your music every day for the last 28 days, Spotify makes sure you know what is up with your fans. Spotify Codes is a brand new way for users to share any track, artist, album, or playlist available on Spotify, as easily as taking a picture. Scan a code on your friend’s phone to follow his or her party playlist, share your Spotify profile on your social channels, or take a screenshot and import a code posted by your favourite artist to hear their latest single. You can also scan a Spotify Code printed on a flyer, poster or even a billboard. Learn more on these here. Friends don’t need a Spotify account to add songs to the playlist, so it’s a fun way for users to spend more time in Messenger. Plus, it’s an easy way for Spotify to attract new users from the vast Facebook and Messenger audiences and get them to spend more time streaming tunes. Merchandise listed with Merchbar automatically displays on your artist profile in Spotify. We partnered with Merchbar because they have relationships with a large number of artists, merch companies, record labels, and distributors around the world. If you work with a merch company or your merch is managed by a label or distributor, Merchbar likely has an existing partnership with your provider. All you need to do is ask them to make your merchandise available on Merchbar. If you manage your merchandise independently, learn more about joining Merchbar here. They have several options for listing your merchandise on their site and on Spotify. If you or your merch partner already lists merchandise on Merchbar, up to 3 products will automatically be shown on your artist profile on Spotify. If you have more than three products on Merchbar, your profile on Spotify will showcase the best 3 products for maximizing engagement and sales—based on data related to fan interactions, purchases, product availability, and other factors. For more information on how to start selling merchandise and vinyl on Spotify or to find out if your merch company is a Merchbar partner, check out Merchbar’s website. Spotify has partnered with Ticketmaster, Songkick, Eventbrite, and AXS to promote and recommend your concerts to fans on Spotify. All you have to do is list a concert with one of them. Spotify will automatically display it on Spotify for listeners in the cities you’re playing—in the Concerts section of Browse and on your artist profile, right under your most popular tracks. Spotify will also include it in our biweekly concert recommendation emails. When fans decide to buy tickets, Spotify will take them right to the ticketing partner’s website. Team up with your friends and music comrades to create and edit the ultimate playlist. Let others add, delete, and reorder tracks on a playlist you’ve created by making it collaborative. Type in: spotify:search:label:”label name” and you will see your entire catalog! Spotify has deals with rights holders in all of its launch countries. A royalty is based on how frequently your music gets played. Each stream earns you a share of Spotify’s advertising revenue. The actual amount varies and depends on the ratio of advertising revenue and your percentage of the total number of streams on Spotify in a given month. If you’d like to learn a bit more, welcome to check out our post Spotify’s Mysterious Royalty System Explained, which will give you the full breakdown. 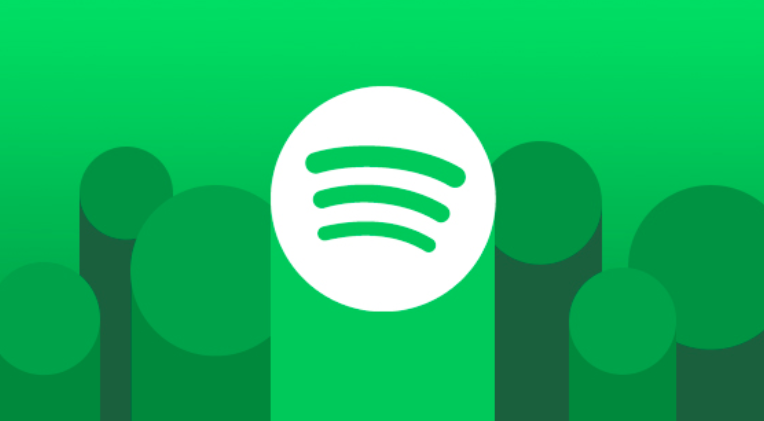 Want to get your music streamed on Spotify ? If you’re distributing to this store worldwide with Symphonic Distribution, you might not be collecting mechanical royalties from downloads outside of the USA and your performance and mechanical royalties from downloads and streams around the world. You can collect these royalties with Symphonic Publishing Administration. Check out our Publishing Administration page for more details on how to collect these royalties.